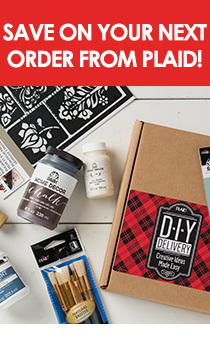 HomeBlog May 2016 Mad About DIY: Celebrate the Grads! Mad About DIY: Celebrate the Grads! It’s time to celebrate one of the most memorable milestones - graduation! In this month’s Martha Stewart Crafts® Mad About DIY, we’re sharing special touches to make the big day extra special. Use our sophisticated party palette of metallics with our fun pop of yellow or substitute your own school color flair in these three must-make graduation party ideas. Don't forget a sweet ending to the party! The editors over at Martha Stewart also hand-picked a yummy treat recipe perfect for the celebration! This creative graduation party guest book is a clever way to showcase favorite photos and commemorate the fun! Make a statement with the walk across the stage in these School Spirit Shoes! Trim shoes with a pop of color is easy with Martha Stewart Crafts! Set the scene for party time with these Glittered Votive Holders. Paint transforms inexpensive glass votive holders into sophisticated party decor. Ready for more color-drenched inspiration? Check out more Mad About DIY from Martha Stewart Crafts®!